Smarthistory at Khan Academy is the leading open educational resource for art history. We make high-quality introductory art history content freely available to anyone, anywhere. Smarthistory is a platform for the discipline where art historians contribute in their areas of expertise and learners come from across the globe. We offer nearly 500 videos and these are being translated into dozens of languages. Google has partnered with hundreds of museums, cultural institutions, and archives to host the world’s cultural treasures online. Here you can find artworks, landmarks and world heritage sites, as well as digital exhibitions that tell the stories behind the archives of cultural institutions across the globe. 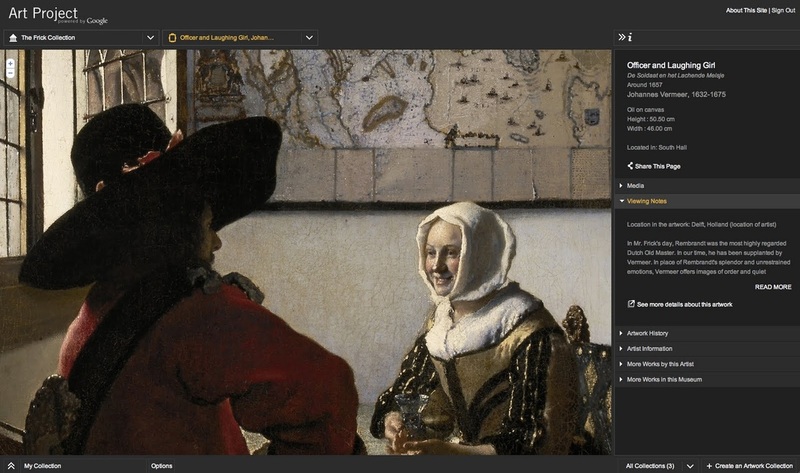 Select a painting and click on "details" to learn more about the piece. Start by understanding the assignment and coming up with what information you need and a statement of purpose. Click here for more information on how to get started.